They include the terms of conditions and provisions that determine the mechanism of using SAS Website or any of its informative products by the others. Just access to SAS's Website or using any of our pages is deemed as automatic acceptance of the conditions and provisions set by SAS as well as acknowledgment of the content thereof whether those applicable currently or any future changes to these terms. SAS has all rights of amending these conditions and provisions as deemed suitable. SAS exerts all its efforts to provide distinguished content services all goals that it seeks to achieve including supporting Aquaculture sector within KSA and spreading the culture of Aquaculture at all segments of community. To this end, SAS enriches the Website by specialized informative products including the news, publications, images and videos and others of the mass media and publication means. 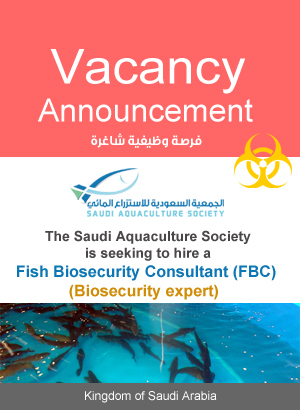 There are some materials, informative productive, documents and reports …….. etc determined by SAS and strictly forbidden to be used of republished excluding by a prior permission from SAS and contacting it via email: info@saudiaquaculturesociety.org. 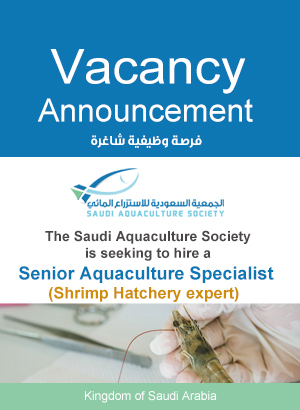 The user of the content shall observe the rights of the third party, who is meant as news source, as the source of some news of aquaculture in KSA is third party (and SAS is adhered to mention him upon publishing the news). The rights of such third party shall be observed at time of republishing the same according to the conditions and provisions set by SAS. While SAS allows some authorities to republish some contents of its website as copies according to the conditions and provisions, it strictly forbids the use of any contents of the website for commercial purposes or republication against any financial consideration. The original status of the instrument (image, video or advertisement) shall be maintained, may not be written or re-amended and shall remain it its original status as it is. Safety and security of the data and any penetration occurs to the website as result of the efficiency and safety of the protection procedures and in case of any virus may cause damage to the user's computers – God Forbid. Correctness and accuracy of the published information or the powers, period of publication, the type and suitability of the content or the occurrence of the damage to any of the services. The user shall assume the liability of the damage results from browsing other websites through using links on the website or pages of SAS.